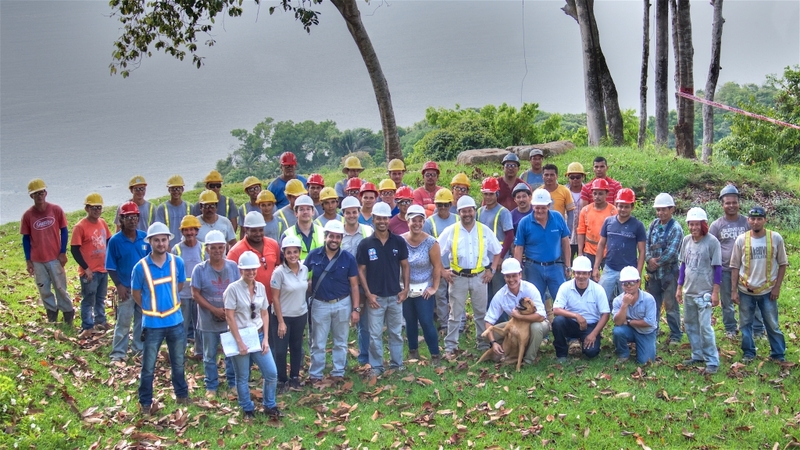 From an industry perspective, Axiom Development Group is a member of the Green Building Council of Costa Rica (GBC-CR), an organization that supports sustainable development in the country. Beyond that mandate, members of the organization, like Axiom, foster cooperation and participation within the communities in which they build by promoting their social, economic, cultural and environmental development as a whole. From conception, Axiom has designed a network of developments that will drive owners into the heart of local communities, where they will explore the culture and contribute to local economies. In building that network, Axiom has also provided hundreds of jobs to local residents who live in some of those very same communities. Axiom also supports the Amigos de Marino Ballena Foundation (AMBF) and its efforts to ensure the protection of 5 national park beaches within Marino Ballena National Park. The AMBF empowers citizens in direct support of the park by enabling communities to develop projects that address the issues that most concern them. The AMBF is a sub-platform of the Corcovado Foundation, a local non-profit organization dedicated to supporting projects that help protect the Osa Peninsula’s natural resources. In addition to monetary donations, Axiom also donated a boat trailer to AMBF in support of its operations. Blue Flag Beach has become one of Axiom’s flagship programs as a community. Axiom has worked to maintain this environmental certification of excellence. Elan at Ballena Beach does monthly beach clean-ups and water quality testing. Axiom monitors the beach to keep patrons safe. Trash stations and safety signs have also been implemented. Foundation Amigos de Marino Ballena was created to help support programs of the Marino Ballena National Park. National Park reforestation program dedicated to provided essential trees to areas or deforestation in the national parks within our community. AYA – At axiom we do not just bring water to our projects we bring the water to the communities. While we have internal dedicated sources at all of our developments, Axiom also brings new aqueducts and clean water to the surrounding communities. Axiom has currently contributed to several aqueduct systems enhancing exiting and constructing from the ground up. We support over 1,500 homes and businesses with our systems working closely with local and national government agencies to make sure that the communities will live within have the essentials now and for the future. Sponsorships – Axiom sponsors many events in the community and the country. Some of these events and programs include: Youth Day, National Park Day, Local soccer teams, Festival de las Esferas, Dawg Domestic Animal Welfare Group, and El Refugio Animal Rescue.